As you’re heading back to school your makeup game needs a revamp. You want a simple routine that will still leaving you flawless. Not only does it need to be simple it should also fit into a makeup back for your backpack. After all, we all need touchups throughout the day! Here are our recommendations for your school makeup bag. Skin first, makeup second seriously applies when you have been up late studying. 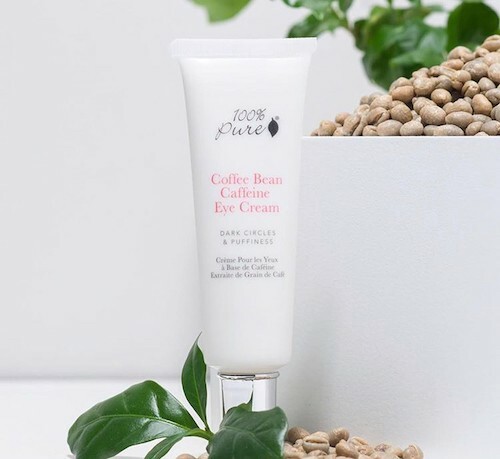 100% Pure’s Organic Coffee Bean Eye Cream should be your go to for mornings when you just can’t get up. This cream will take you from looking like a zombie to looking like you got your 8 hours. While not a makeup product, this cream definitely deserves some space in your school makeup bag. Another non-makeup product that deserves a spot in your makeup bag. Hydration is key and you cannot achieve a flawless look without it. 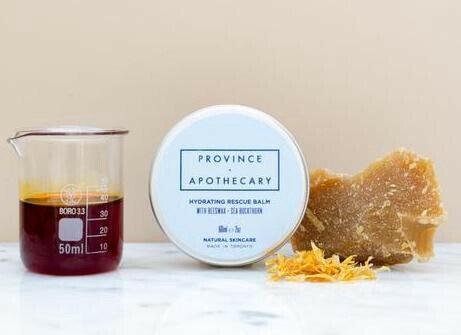 Province Apothecary’s Hydrating Rescue Balm will become your go-to for any dry patches anywhere on your body. This multitasker is a must have for every student. A flawless look starts with a smooth base. 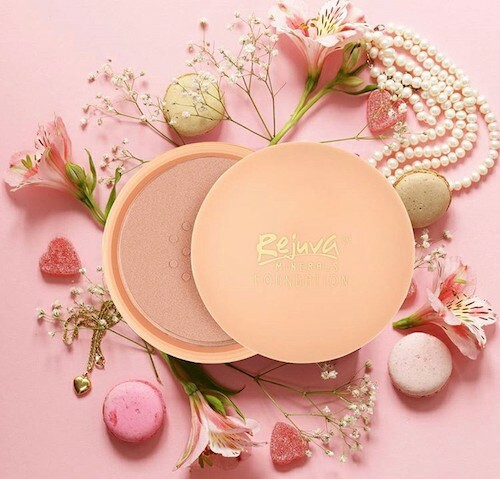 Rejuva Mineral’s Loose Powder Foundation provides a silky smooth natural finish that suits every skin type. Light as air with light-medium buildable coverage this will be your new favourite foundation. 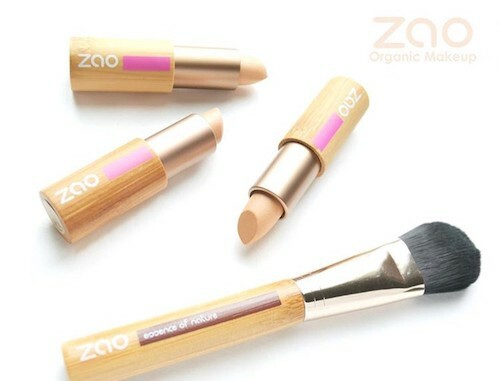 Nothing is more convenient that ZAO Organic Makeup’s Concealer Stick. It’s creamy formulation is perfect for concealing dark circles or blemishes. The convenient packaging makes it perfect for on-the-go touch ups during your day. On top of providing flawless coverage, this concealer stick actually repairs skin throughout the day. We also love this concealer for how little space it takes up in your makeup bag. 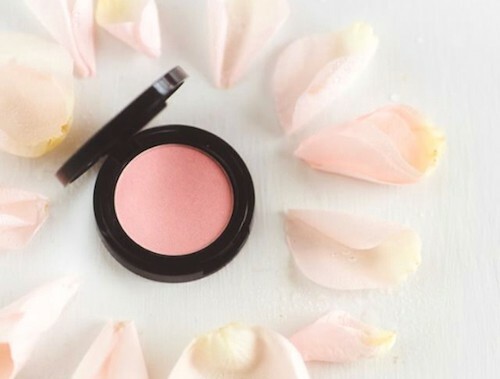 Here’s another multitasker that will become your go to blush and eyeshadow. The monochrome look is so on-trend and Rejuva Minerals’ Multi-purpose Pressed Powder and Eye Shadow makes it so simple. This powder comes in 7 beautiful shades with a semi-matte finish. Looking to nail that cat eye? 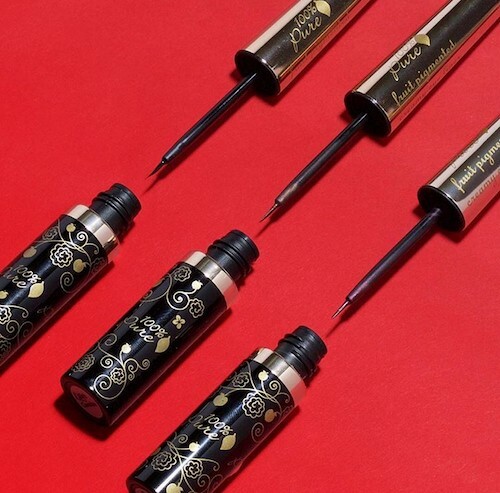 100% Pure’s Liquid Eyeliner will be your best friend. 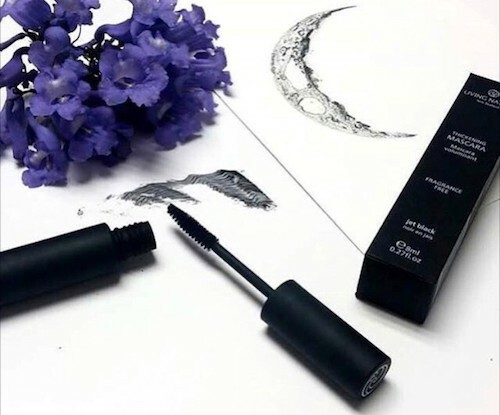 It’s easy to control applicator and intense pigment from real black tea make it simple to use. It is also smudge proof, water resistant and will last all day, even if you’re up into the wee hours studying. If you had to pick just one makeup product to use every day would it be mascara? We think so! Nothing is more impactful on a face than big bold lashes. Whether you’re blessed with full and long lashes or not, Living Nature’s Mascara will make them looked more defined and thick than ever. Just one swipe will give you the lashes of your dreams, so keep it on hand at all times in your on-the-go makeup bag. No look is complete without a little lip colour. Whether your are into big bold colours or prefer something a little more subtle, Elate has you covered. We love their Vivacious Sheer Lipstick for its light as air feel and soft pigment. 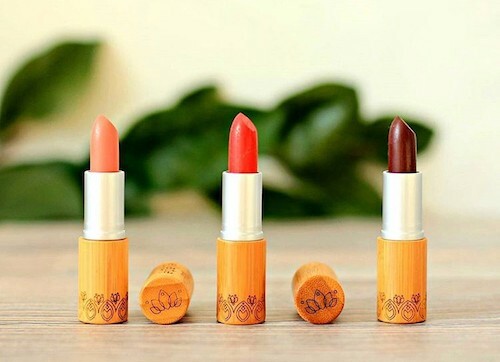 It is the perfect lipstick to throw in you makeup bag when you’re running to class. Be sure to download the Think Dirty App to find even more products that are perfect for your makeup bag! Backpack Makeup Bag Essentials was originally published in Think Dirty on Medium, where people are continuing the conversation by highlighting and responding to this story.